Judge hears arguments in Colorado gay marriage cases. Satellite experts: MH370 searchers not looking in the best place. Our Nathaniel Rogers interviews this stunt man who has played James Bond, Batman, Thor, Green Lantern, and more, over at his home blog The Film Experience. VIDEO: Nana the Border Collie can balance anything. Signorile: Why Rick Perry thinks it's politically clever to liken homosexuality to alcoholism. District Court judge appears skeptical of Colorado gay marriage ban at hearing: "Crabtree was openly skeptical of the state’s arguments that the 2006 voter-approved ban protects the procreative nature of marriage. He mentioned two of his friends who are marrying this summer at age 65." A lberta leadership candidate Ric McIver under fire for marching in parade organized by a church that believes gay people are the minions of Satan. Male model fix: Matt Waters. LISTEN: Maroon 5 drops new single "Maps". Andrej Pejic cast in Sofia Coppola's The Little Mermaid. Could dental drilling and injections soon be a thing of the past? "Rather than removing decay and refilling a cavity with manmade materials, Electrically Accelerated and Enhanced Remineralisation (EAER) encourages teeth to patch-up on their own. The technique reverses the decay process by fast-tracking the natural conglomeration of calcium and phosphate minerals in the tooth, causing it to re-mineralize and restore its health." What the media should know about this week's anti-gay March for Marriage. And here's another useless offerer of advice on Iraq. Anchorage, Alaska celebrates LGBT Pride: "Hundreds of Alaskans gathered in the street on Saturday morning outside Snow City Cafe, in downtown Anchorage. Emcee Daphne DoAll LaChores made sure everyone was in place behind the Identity, Inc. banner at the front of the procession that would go the distance, from 3rd Avenue to the Park Strip. Festival attendee and downtown community leader Christopher Constant took the mic, announcing the presence of the plaintiff families in the case Hamby v. Alaska, who lined up behind the banner." Green is Prince Harry's color. 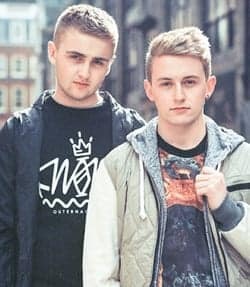 The brothers behind the British dance outfit Disclosure talk about how the gay community has influenced their sound: "Honestly, the history of the music that we take influence from, like house and garage, obviously originated in gay clubs like The Warehouse in Chicago and Paradise Garage (in New York City). I don't go to gay clubs now, but I feel like gay clubs just seem to be very forward-thinking, in terms of music anyway, and they're always pushing boundaries. If you look back at the last 25 years or so, they're playing the most original, creative stuff." The original 'sole Survivor' Richard Hatch now has a blog called The Hatchet Job. Atlantic City courting gay tourism: "Mayor Don Guardian and tourism officials said Monday the goal is to reinvigorate a once-thriving gay community in the New Jersey resort city."